This easy-to-sew blouse is truly a classic. It has twelve darts to make it fit the way you want. The eight vertical darts are completely optional so you can really make it your own. 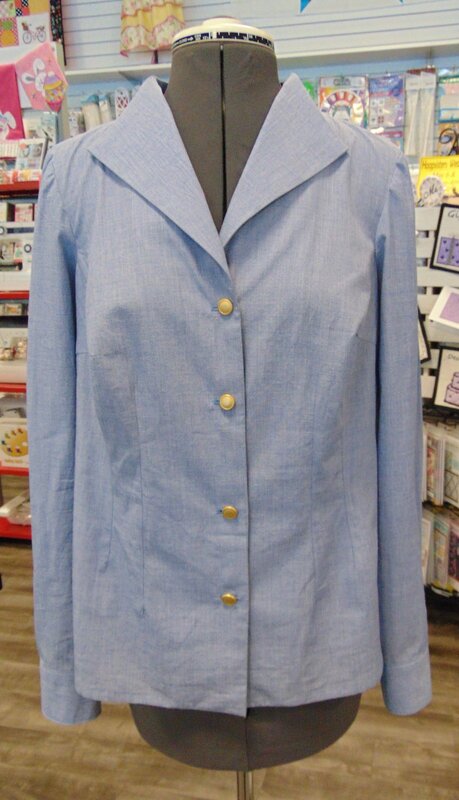 This blouse is perfect for cotton, lightweight linen, chambray or shirting fabric. You can also choose from three sleeve styles making it a great pattern for all seasons. NOTE: McCall’s #6750 is the same blouse used in the 2-day fit workshops. Because this is not a fit class so there will be no fitting instruction during this class.